culture with year round low prices. 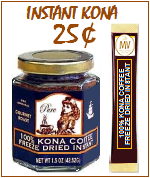 Save on daily coffee take outs with Instant Kona Coffee 25¢ cup. 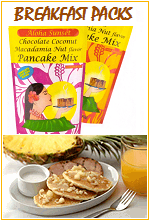 Tropical Breakfast Packs Hawaiian Style. An escape from boring breakfasts. 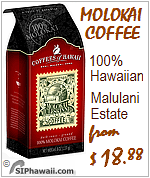 The best fancy coffee beans grow in Hawaii. 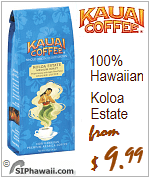 Sip some Royal Hawaiian Kona coffee. 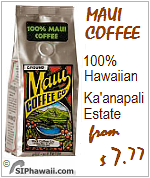 The Hawaiian islands are in the coffee zone. Maui Molokai Oahu Kauai Hawai'i-Kona. 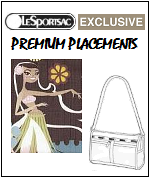 ALL MAJOR BRANDS - Every Day Low Prices. 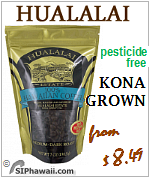 In paradise you loved the Hawaiian Kona coffee. 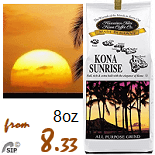 100% Kona coffees, tropical flavored and 10% Kona blends. best gourmet coffee brands - to enjoy again. Looking for a gift? 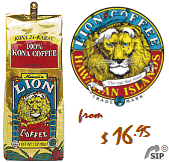 Try our all-islands coffee beans 5-pack samplers. The Year 2020 Hawaiian Calendars coming soon. ~ a Little Aloha Exclusive Hawaiiana affordable premium gifts and souvenirs - to treasure the memories and the Spirit of Aloha. A colorful selection of some of the bestselling Hawaiian gifts and souvenirs to compose your own gift baskets and care packages. 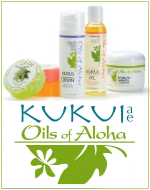 Find more on our 'a little Aloha' page - 'a little love' for your family, friends and yourself. Island Ties Suitcase Straps - 'A lei for your luggage' in 6 vibrant Hawaiian designs and colors - 'Aloha is easy to recognize'. About Free Shipping from Hawai'i - by canoe. Our prices + shipping charges compete with or are less than offers including 'free' shipping and less than Duty Free Shops in Hawaii who also require a steep minimum purchase. We are sorry to inform you that in reality that there is no such a thing as "Free Shipping" from Hawaii unless the cost of shipping is included / hidden in the product price but, you guessed it, in that case it is not so "free". There is no UPS or FedEx cheap 'ground shipping' from Hawaii. USPS - United States Postal Services uses FedEx airfreight or commercial airlines for shipping from the Hawaiian Islands. Estimated average delivery time by USPS after acceptance to the USA 50 states: 2 - 5 business days from Hawaii. We use USPS Priority Mail for 24/6 pickup and world wide delivery, to PO BOX , APO / FPO / DPO, Alaska, Guam and Puerto Rico. Address instructions for APO - Army Post Office, FPO - Fleet Post Office, Diplomatic Post Office on 'Terms and Conditions' page. 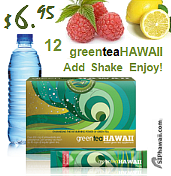 - It's Best if it's Fresh from Hawaii - One Stop Save on Shipping. 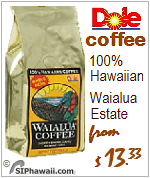 - Not all 'Hawaiian' e-commerce business operate from Hawai'i. - We don't drop ship - Most products available by the case. 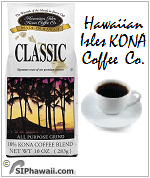 - email us for Kona Coffee by the case. 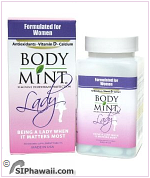 - minimum SHIPPING: to USA 50 with USPS Priority Mail $14.95. Pay the same price for a Large Flat Rate Priority Mail box as for a Medium Flat Rate Box plus the shipping costs for the second APO-FPO flat rate box with the same order# are on us. These shipping rates also apply to the DPO - Diplomatic Post Office. 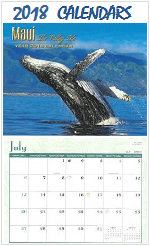 SIPhawaii offers all year round low prices. and therefore it's unnecessary to enter coupon codes. No membership required - No registration - No minimum purchase. NO coupons needed - NO promotional code necessary. AARP members welcome - NO 'Groupons' necessary. The checkout procedure is kept simple and with a minimum of numbers and data entry, and to prevent frustration with coupons and promo code expire dates. Use your CASHBACK Rewards VISA-Master-Discover here. American Express - Discover - MasterCard - Visa. Your Credit Card number is not transmitted to us. We never see it. It is only checked during the final step in the shopping cart between your computer and your bank when you place your order. SIPhawaii is PCI compliant and transactions on this site are protected with up to 256-bit SSL - Secure Sockets Layer encryption. The connection uses TLS 1.2 and is encrypted with modern cryptography. This web site is secured with a Starfield Technologies Web Server Certificate. McAfee Search Scan - Site Advisor. Norton Safe Web has analyzed this web store for safety and security problems and found no identity threats, computer threats and annoyance factors. Point the mouse on the triangle at right bottom of the screen logo to verify. ~ Mahalo for visiting our sound free, survey free and advertising free One Stop Online Shop In Paradise Waikiki - Honolulu - Hawaii. Dedicated to the Hawaiian Sunrises and Sunsets, and The Royal Hawaiian Hotel on Waikiki Beach - also known as the Pink Palace of the Pacific - where while sipping our morning coffee at the outdoor beach front restaurant 'SIPhawaii' - Shop In Paradise was 'born'. The Royal Hawaiian Hotel, renown as the Pink Palace of the Pacific, is a hotel located at 2259 Kalākaua Avenue, Honolulu, Hawaii, on the island of Oahu. One of the first hotels established in Waikiki, the Royal Hawaiian Hotel is considered one of the flagship hotels in Hawaii tourism. It opened its doors to guests on February 1, 1927 with a black-tie gala attended by over 1,200 guests. In 2009 The Royal Hawaiian refreshed its grandeur with a multimillion dollar transformation, taking "The Pink Palace" a step beyond traditional luxury resort expectations. The redesign has revitalized the entire property, conjuring a decidedly chic and modern atmosphere that is still captivatingly Hawaiian, making this Waikiki's finest luxury resort. The Royal Hawaiian is a playground for international royalty, Hollywood elite, and heads of state, this legendary pink-hued retreat is ushering in a new era of Hawaiian-style luxury on Oahu's golden Waikiki Beach with striking décor and unmatched service. IPhone, Samsung Galaxy (Android - Google Chrome) and Nokia (Windows). Internet Explorer pinnable web site. Quick access from fully populated jump list with Windows 7. Ipad - Windows Tablet optimized checkout. All pages HTTPS - SSL secured with the pad-lock. Best browsed with IE 11, Google Chrome, Firefox or Opera. A big thank you to our customers, worldwide, who submitted ideas on how to improve our website, which of most has been implemented. Our checkout procedure is otimized for mobile phones and tablets. For best viewing use the Chrome browser - in landscape mode. 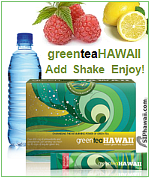 SIPhawaii is a family owned and operated One-Stop e-commerce business located in Waikiki - Honolulu. Founded in July 2007. Operating from and registered in the state of Hawaii. We are happy and proud "presenting The Isles' Best" products at down to earth prices. Reasons that our products are so reasonably priced is that we don't waste money on fancy overhead costs and by borrowing from the banks, but by streamlining with suppliers that understand the needs of small business, being efficient and by doing all our web site design in-house, - expenses that would have to be passed along to our customers. 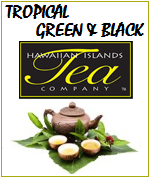 We are specialized in Hawaiian and Royal Kona coffees Fresh from Hawaii, Hawaiian Islands Teas, Chocolate Macadamia nuts, Island Foods, Natural Dietary Supplements, Island Music and Scenic DVD's video, Bath Body products, Gifts and Souvenirs. We've built up a strong following of customers, with international testimonials. 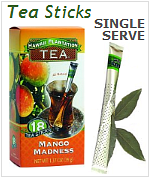 Many of them are amazed at the competitive prices and the speed that with we deliver. Why is our business not advertised locally? The answer is we are a family business and very down-home and low-key. We believe that if you treat customers well with fair prices and good friendly service, supplementing relevant information, those customers will tell their friends about our site, and will continue to be good customers themselves. You can read more about us on our 'Contact' page. I am dedicated to ensuring a high quality, fulfilling shopping experience for our customers. ~ Mahalo nui loa for shopping with SIPhawaii | Shop In Paradise. Safe online shopping. In compliance with the latest web safety requirements, ALL of our web pages are HTTPSecure. HTTPS is a secure connection that shows a pad-lock in your address bar - contrary to the outdated unsecured HTTP mode. Before only the shopping cart - checkout procedure was secured. For security and to improve the download speed, images are ommited from our email. MOBILE FRIENDLY APP. This website is optimized for mobile phones and tablets. For best viewing on phones and tablets, turn it to landscape mode and zoom if necesarry. add SIPhawaii to the home screen of your phone (not to the home page of the Google Chrome browser). View our site in the Google Chrome browser and select 'Add to Home screen'. Close the Chrome browser. On the home screen tap on the SIP rainbow icon and the site will open in full screen mode. Today is: in the Aloha State.